With the next season of the wildly popular Orange is the New Black ready to be streamed over Netflix, a minor update has added "Post-Play" features for Android users of the video streaming service. Now, when an Android user is watching a television series on Netflix, he can sit back and watch the pilot episode through the series finale without lifting a finger. For example, a fan of House M.D. can sit back and watch all eight seasons of the show without having to interact with the phone or tablet. If you're watching a movie, after the picture ends, you will be given three recommendations for you to watch next. The new "Post-Play" features can be disabled by tapping on the screen when the next video starts. The "Post-Play" feature is already available on iOS, PS3 and on the web. To grab the update on Android, visit the Google Play Store and click on "My Apps". You do realize that netflix is a third party app, don't you? You do realize that this same thing happens to a lot of apps right? Developers don't consider Android as safe of an investment, so it gets apps and updates last. :-\ Yeah... I've noticed that. However with 79% of the global smartphone marketshare last quarter I will never understand this retardation. I honestl hate this s**t!!! Especially if the show you're watching is really good. Youll be glued to the damn TV all day and get nothing done. Its like helping a junkie shoot up after he sobers up. 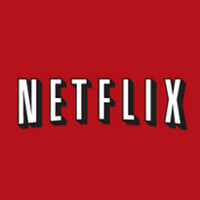 I hear that the Android version of Netflix now shows a red Netflix icon. So much amazing. YESSSSSSS. About time. It's annoying having to wait through the end of the show or manually change the episode. Wish my Roku did this.